Easily add hands-on science activities that teach students about plants and flowers to your spring lessons. 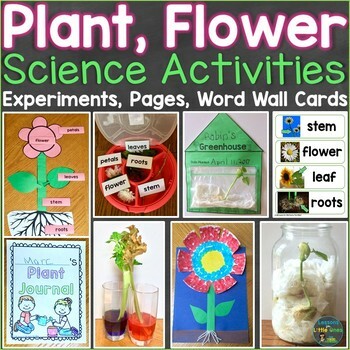 Includes plants and flowers science activities with coordinating pages, flower craftivities, parts of a flower word wall cards and labels, and plant journals. The step by step directions with photos make for easy preparation and set-up. Also includes step by step directions with photos on how to use the free apps Pic Collage (Pic EDU) and Seesaw to complete the coordinating pages as well as the JPEG files for each page for easy technology integration. This teaches students how to use technology as a tool to record their results, make predictions, etc. 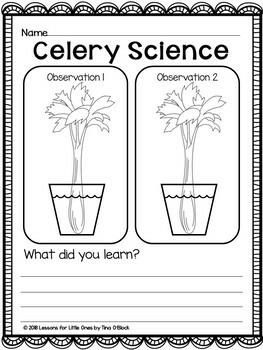 *Please see the preview file for pictures of the science experiments and pages. "This had so many great hands on activities to add to my science unit! I used this for my self-contained class. Thank you!" - Ashleigh S.
"Excellent product. My students enjoyed doing the projects from this product." - Selene D.
"My students loved building the flowers and leaning all the flower parts hands on. 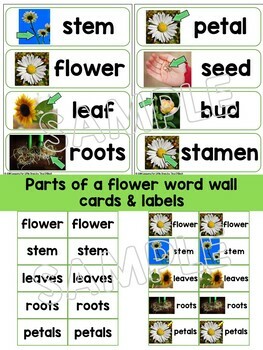 Such a fun way to learn about a flower." - Bethany Q. "I loved this packet! It had everything you could need! Thank you!" - Jessica D.
"This is just exactly what I have been looking for! I can't wait to implement the lessons. 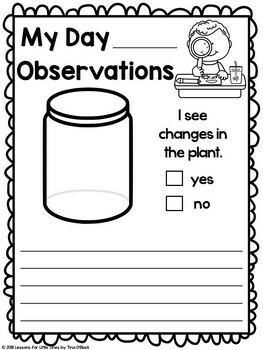 We have been spending a lot of time in the classroom learning about plants and I have been spending hours looking for engaging lessons, and now I need look no further!" - Kerry M.
"Awesome! Loved all the variety in activities. Thank you!" - Melissa R.